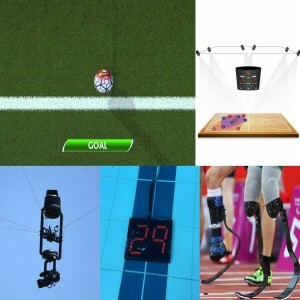 Since two decades, Indian athletes have made sincere efforts in various sports, stepping them up to new heights. 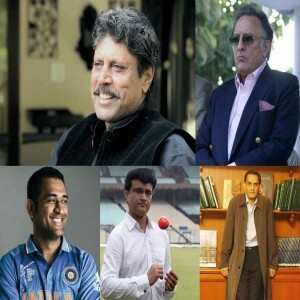 It is a subject of matter that the nation has been credited with numerous accolades by young female athletes who have proved the world that the Indian society has moved on from their pharisaical old theorization about females. 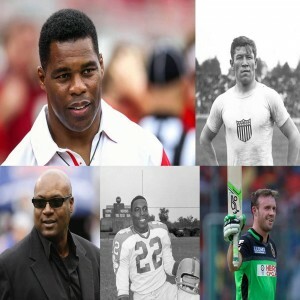 Their strong belief in dreams and never failing attitude have made them capable of leaving a trail for others. Here we have given a brief sketch of seven young Indian girls who have proved their knack in sports and have a promising future ahead that will definitely leave a pathway to follow. The Summer Olympics of 2016 proved to be fruitful for the nation in wrestling when a 24-year old Haryana girl Sakshi Malik earned a bronze medal in women's freestyle wrestling, being the first to bring the honour to her nation by defeating Asian champion Aisuluu Tynybekova of Kyrgyzstan. Malik clinched a silver medal at the Commonwealth Games of 2014, held in Glasgow and a bronze medal at the Asian Wrestling Championships of 2015, held in Doha. Born to a middle-class family, Sakshi never gave up on her dreams and trained herself in wrestling under the tutelage of Ishwar Dahiya in Rohtak. The girl has proved herself as one of the young inspirations on whom the nation has proud. Apart from Mithali Raj and Jhulan Goswami, there is another name who has ornated the Indian women's cricket team. One of the prolific batswomen of the Indian women's cricket team who holds the record of highest individual scores for India (171*) in the Women's One-Day International cricket- Harmanpreet Kaur. Born to a basketball player, Harmanpreet has a gifted potential for sports. 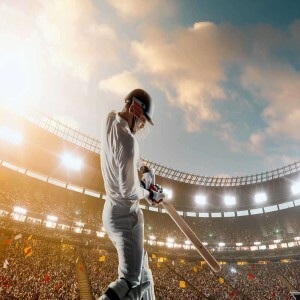 She sought inspiration from Virender Sehwag to pursue the career in cricket and started playing for Indian railways in 2014 after moving to Mumbai from her hometown Moga, Punjab. Her knack with the bat made her the captain of the national team at the 2012 Women's Twenty20 Asia Cup final. Under her captaincy, India won the Asia Cup after defeating Pakistan. Harmanpreet is the first Indian cricketer who has been signed by an overseas franchise of Twenty20 cricket- Sydney Thunder. 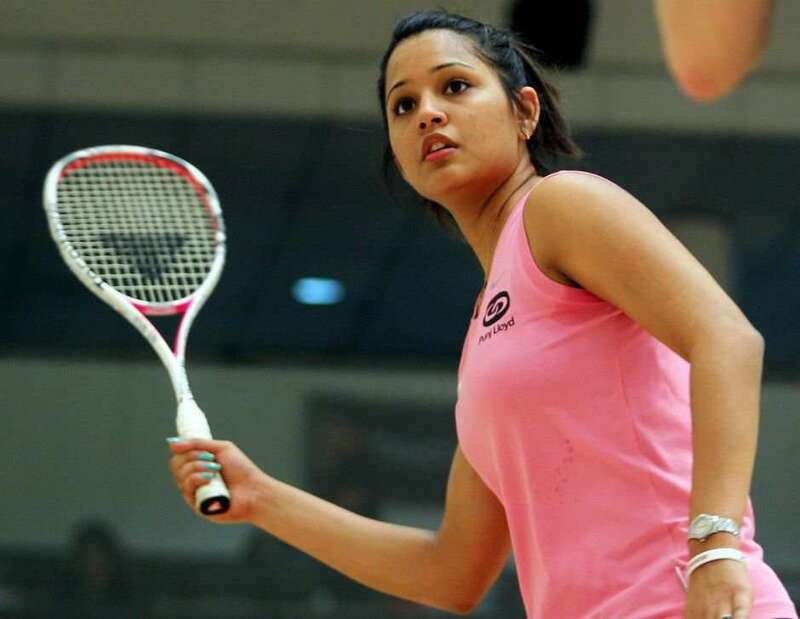 The first Indian to get into the top ten of the PSA Women's rankings who has clinched three WISPA Tour titles- Dipika Pallikal Karthik is the proud face of Indian Squash team. She allied Joshna Chinappa to clinch a gold medal in Women's Doubles of the Commonwealth Games of 2014 and earned a bronze medal in the Asian Games of the same year. This alluring South Indian girl performed internationally for the first time when she was in grade six and since then moving straight towards glory with her firm and ambitious attitude. Currently positioned at the 19th rank, this sturdy Arjuna awardee owns a total of eleven singles titles that better depicts a promising future of Indian Squash team. Next to Saina Nehwal, another Indian Badminton player who has earned an Olympic medal for the nation and the first one to bring silver medal in the quadrennial event- Pusarla Venkata Sindhu. At the age of 17, this common girl with uncommon dreams broke into the Top 20 of the BWF Ranking and being 20, conferred with the fourth civilian honour Padma Shri. 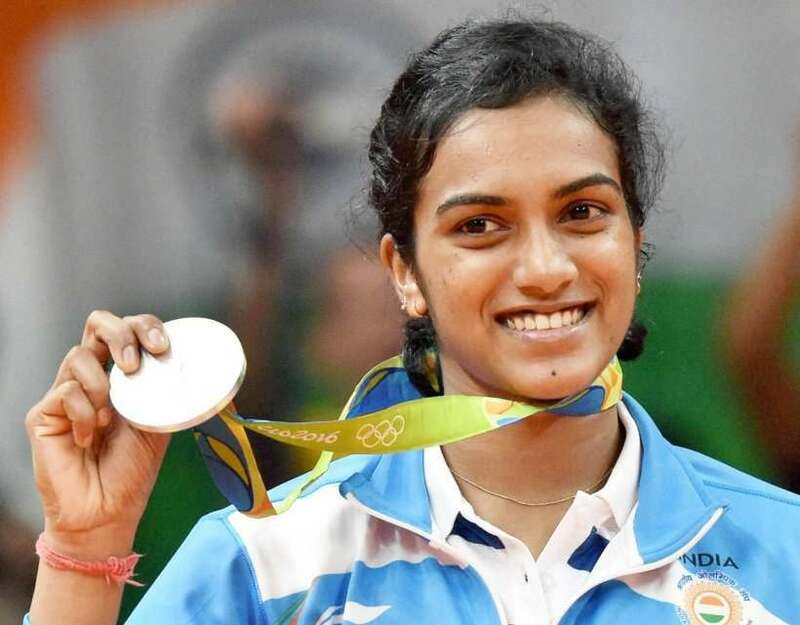 Sindhu commenced her training at the badminton courts of Indian Railway Institute of Signal Engineering and Telecommunications, Secunderabad under the tutelage of Mehboob Ali. According to her mentor, Pullela Gopichand who is a former Indian Badminton player, "the most striking feature in Sindhu's game is her attitude and the never-say-die spirit". One of the only five female gymnasts who has successfully attempted the Produnova vault at an Olympic event (2016 Rio Olympics) - Dipa Karmakar. A young, energetic Bengali girl, hailing from Tripura, came into prominence by clinching a bronze medal at the Commonwealth Games of 2014, being the first Indian Gymnast to earn the accolade. Not only this, Dipa has also given a spectacular performance at the Asian Championship of 2015 where she earned a bronze. Dipa started pursuing the sport at the age of six under the guidance of Soma Nandi & Bisweshwar Nandi at her hometown. Inspite of being physically unfit for the stream having a flat foot, Dipa never gave up on her dreams and developed arch in her foot through hard-bitten training. At present, Dipa has won total 77 medals through her eye-catching performances at state, national and international stages and is still going on with her firm desire to credit a gold medal for the nation in the stream. 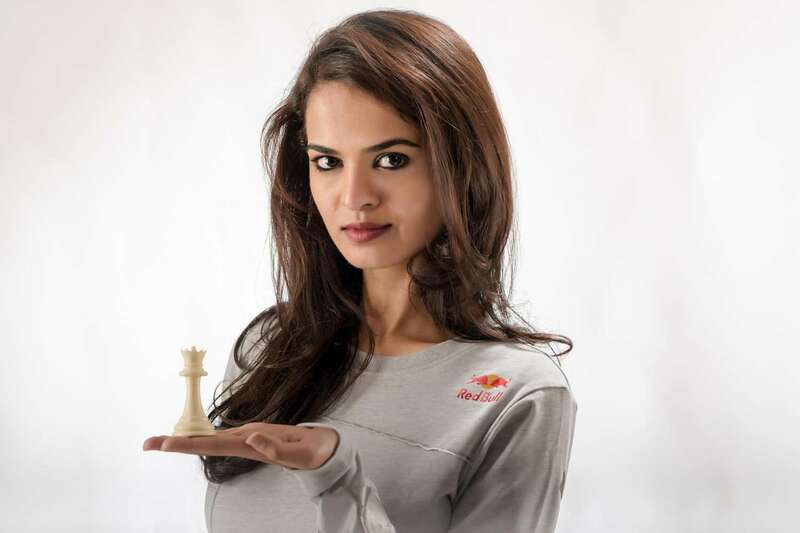 One of the Indian beauties that are leading the world of Chess with their sheer intelligence and strategies- Tania Sachdeva; a successful Chess player, presenter, and commentator. She is the eighth Indian who has achieved the title of Woman Grandmaster (the feat she earned in 2005) and also holds the title of International Master. Starting at the age of six, Tania secured her first International title at the age of eight. She has achieved ample of success in her chess career and has recently received the Elo rating of 2408 by FIDE. In the year 2016, Tania has shell-shocked her rivals through her spectacular performance at the Commonwealth Women's Championship and has been conferred with the highest sports honour of the nation- the Arjuna Award. Tania is still contributing her best for both individuals as well as sports in India by sharing her experiences in the sports. A shooting guard for the Indian national women's basketball team who has been conferred with the Rani Laxmi Bai Bravery Award in 2016 by the Government of Utter Pradesh- Prashanti Singh, the proud player from Varanasi. She is one of the most decorated basketball players who has been selected by the Basketball Federation of India as A Grade Player. Prashanti joined the Indian Basketball team in 2003 and since then contributing her best to her passion. She has been the ace player of the Basketball team that clinched the gold medal at the South Asian Beach Games of 2011, held in Sri Lanka. Till now, this Indian athlete has secured 23 medals through her supersonic performance in National Federation Cups and Championships and still efforting to lead the sports to new heights.